For the hard of hearing, everyday activities such as watching the television or listening to music can be challenging. 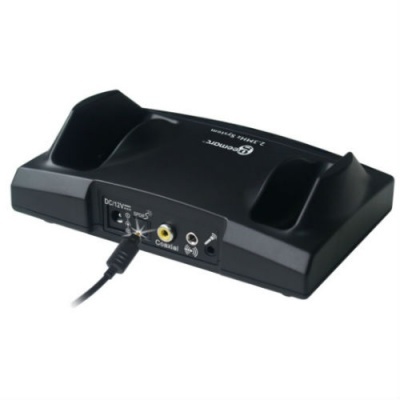 The Geemarc CL7150 Wireless TV Listener has been designed to ease this by combining a versatile transmitter with a comfortable, lightweight headset for a personal amplified listening experience. 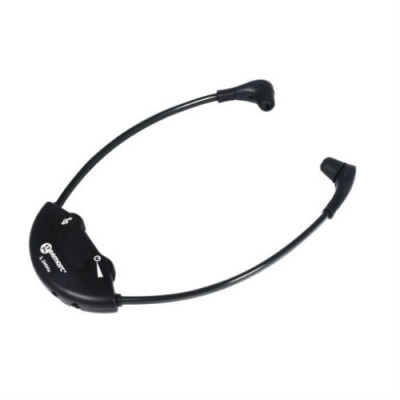 The Wireless TV Listener headset features both volume adjustment and tone control to ensure that the sound received is of maximum quality for the individual. The volume can be adjusted up to 120dB. As the sound is wirelessly transmitted to the headset via infrared, this does not affect the sound level for others in the room. The tone control can also be altered +/- 10dB, which will be useful for anybody sensitive to certain frequencies. 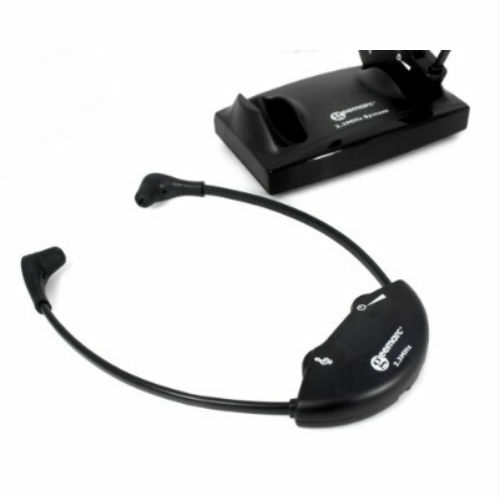 As the headset is lightweight, it can be worn for extended periods of listening without becoming burdensome. 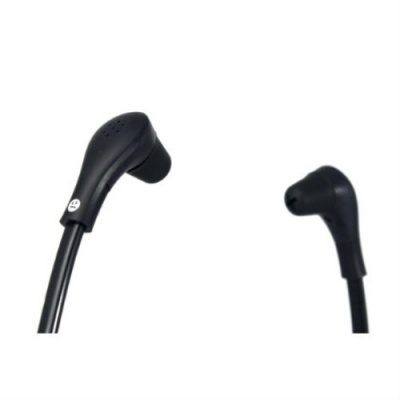 It features an under-the-chin design for improved comfort, helping to ensure that the wearer receives an enjoyable experience no matter what their listening requirements. The Wireless TV Listener is ideal for a wide range of activities. The transmitter can be plugged directly into the television, and does not require the wearer to sit near the television set thanks to a signal coverage of up to 600 square feet. This means that music from HiFis and MP3 players can also be enjoyed in a more comfortable location, and the compatibility with game consoles eliminates the need to sit directly in front of the TV screen. Additional headsets can be purchased separately to connect to the transmitter for multiple persons to benefit from individual sound transmission at once, and up to two headsets can be charged on the cradles at any one time. This means that it is possible to wear one headset while the other is charging, ensuring optimum sound quality can always be available.